The terms “filtration” and “purification” sound an awful lot alike, don’t they? After all, when you filter the air, this also purifies it. So what is the difference between air filtration and air purification, and why would you install one or the other or both? This is a common area of confusion, and it is very easy to get the two terms mixed up for obvious reasons. In this post, learn how each system works to clean up your indoor air and create purer, richer, more oxygenated and breathable air for your home and workplace. Air filtration is the process of ridding the air of airborne particles (dust, mites, pollen, toxins, etc.) through the use of an air filter installed on your air conditioner for furnace. The filter traps and filters out airborne particles before the air gets sent through the duct system to each room in your home or workplace. The best air filters are called HEPA (high efficiency particulate air) filters. HEPA filters all rate 17 or higher in terms of filtration efficiency, which means they can filter out 99.97 of particles as small in diameter as a single human hair. Only air conditioning units rated to work at a 16 or higher efficiency level can use a HEPA filter successfully. However, if you have a lower-rated air conditioner or furnace that is still working well, you can install portable HEPA-rated air filtration devices in specific rooms in your space as needed. You can also use a vacuum cleaner with a HEPA-rated filter to clean your carpets and flooring, which will help trap additional particles and remove them from your indoor air permanently. The next best air filters are called MERV (minimum efficiency reporting value) filters. MERV filters come in efficiency ratings from 1 (the lowest) to 16 (the highest). The vast variance in ratings means that all air conditioners and/or furnaces can use one of these filters to at least provide some filtration of the indoor air. Air purification is the process of sanitizing the air by neutralizing airborne toxins (gases and off-gassing, bacteria, viral or fungal matter, toxic pathogens, etc.). Air purification uses a different method than an air filter to purify the air of toxins. Instead of simply trapping airborne particles within the mechanism of a tangible filter, an air purifier emits something to kill, neutralize, transform or otherwise render airborne toxins harmless. There are various air purification systems available. Some are better at purifying than others, and some systems are safer to use than others. One of the most popular air purification systems being used today is ultraviolet (U.V.) air purification. The concept of U.V. air purifiers is based on our planet’s sun and how it works to purify the outdoor air. Sunlight is still the best all-around air purifier of all time, but short of installing a sunroof on your home or office that you can roll open on nice days, it is awfully difficult to get the outside sunlight where the indoor air needs purifying the most (while also avoiding the possibility of toxic over-exposure). So U.V. air purifiers were developed to effectively mimic how the sun purifies air using ultraviolet light waves. 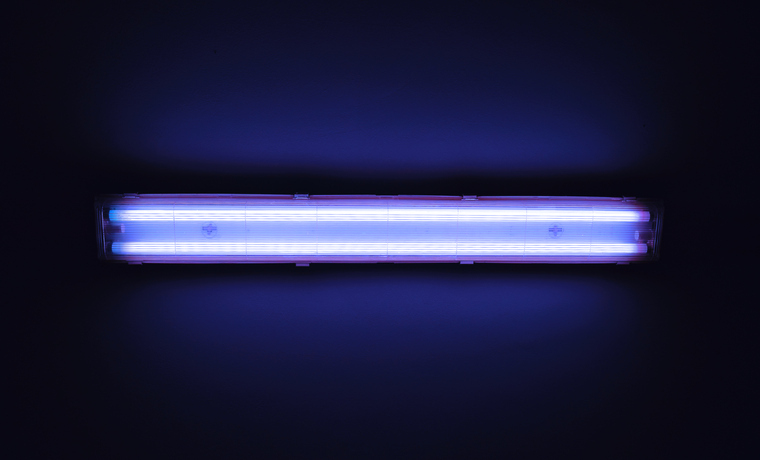 Ultraviolet light can kill or neutralize airborne toxins, pathogens, viral and fungal matter, mildew, mould spores, pollen, dust mites, and other harmful substances. As the chemicals and biological toxins are destroyed, any odours they caused are also neutralized. This is why people often remark that U.V.-treated air smells fresher. As their name suggests, portable room units are designed to clean and sanitize the air in a specific area of space in your home or office. If you live in a very small space (<900 square feet) some portable room units may be able to treat your air effectively. However, if you live in a larger space with multiple rooms, the only way to sanitize and purify the air is to install a separate portable U.V. air purifier in each room. Central system units work with your central HVAC and furnace system to treat all of the air coming into your home. Most units treat the air at intake either in the A/C coil or in the air ducts. This way, any air that travels through the air ducts and reaches various rooms in your home or workplace will be sanitized. Since a central U.V. air purifier takes advantage of the air circulation as it moves through your HVAC and furnace units, you need only one. There are central systems for smaller spaces (1,700+ square feet) and larger spaces (4,000+ square feet). Air Filter Versus Air Purifier: Which One Is Best? Even if your own source of cooling and heating is very basic (like a window unit), you likely already have some type of minimum air filtration system installed. Then, for extra air filtration, you can just add a portable HEPA filtration unit. Ideally, you will get the cleanest, purest indoor air by using both systems together. Your air filters will trap airborne particles and the U.V. air purifier will kill airborne pathogens, so all that remains will be clean, pure, fresh, oxygenated indoor air. Our Breathe Clean Air event is still going on—right now, save 20 percent on all whole-home HEPA filtration and U.V. purification systems, heat recovery ventilators, and whole-home humidifiers!